Mike Halper of Ascentia Films has informed me that the new and improved version of Sorry is now up and ready to view. You can watch the film at the Ascentia Films website. If you have Internet Explorer, you might have trouble getting the film to play. It loaded for me in IE7, but not IE6. I also played the film in both Netscape and Mozilla Firefox and it worked fine with no problems. You’ll also want to be sure to check out these great behind the scenes set photos. 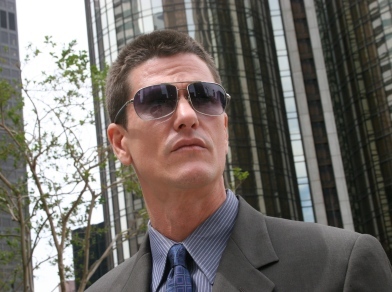 I just heard from Paul Ben Victor, and he wanted to make sure that all his fans know that he will be in the new HBO show “John From Cincinnnati” that will be premiering this Sunday after The Sopranos. 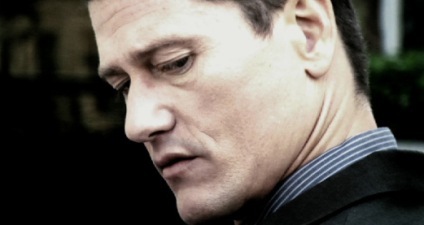 Paul joined the show in the 3rd episode and will become a regular. Woo hoo! He says that it is quite different but very entertaining. Also, he is going to start a My Space Page as well so he can keep everyone in touch. He will send me the link when he gets it started, and I will put that information in a future newsletter. Thanks go to Laura for sharing the info that Paul’s character is named Palaka and that the episode that Paul first appears in is scheduled for this Sunday, June 24. You’ll want to check the show’s schedule for the time in your area by going to the Official John from Cincinnati Website and clicking on “Full Schedule.” Also, while you’re perusing the schedule, you might want to check for the days and times of Making John from Cincinnati. I’m a total sucker for those behind-the-scenes shows. Courtesy of Buzzine.com, here are a couple of pictures of Paul in his role of Palaka in John from Cincinnati. I’m very pleased to finally be able to bring you news of Vincent Ventresca’s lastest film. 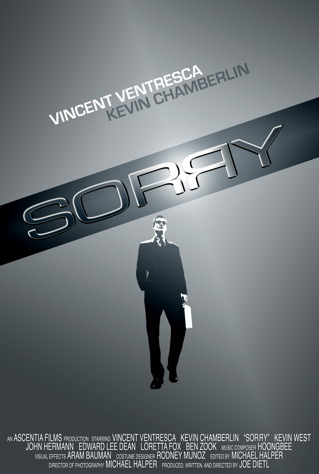 If you recall, back in March I blogged about a film that Vince was starring in called Sorry. At the time I didn’t know much about the film, nor did I know that because of film festival rules, no promotion on external websites was allowed. Oops. So, in deference to the film festival rules, I’ve been sitting on updates about this project for several months. Now, finally, I can tell all of you about this cool little film. Sorry was created specifically for the DVXuser.com Spy Fest Short Film Festival. This online contest required that the submitted entries have a spy theme, be no longer than six minutes, and the central character be named Rob or Robin. Filmmakers had only three months to get their entries made. Sorry stars Vince as Robin Tasker. It was written, produced, and directed by Joe Dietl. DP (Director of Photography) Mike Halper of Ascentia Films asked me to tell you that the film was rushed in order to meet the submission deadline and is not quite finished. Improvements to the visual effects, sound effects, and music are in the works. Mike said he will let me know when the new version is available so that you can watch it. Everyone involved in this short did a great job, and it looks like others thought so too since it just won third place at the DVX User Spy Fest Film Festival. Congratulations to cast and crew! I want to give a big thanks to Joe Dietl and Mike Halper for allowing me to share the following poster, behind the scenes pictures, and screen captures with you. I had to do some resizing and cropping to get these pictures to fit on the page, but if you want to see a larger and uncropped view, go to the photo gallery page. A big huge congratulations to Mike McCafferty and his wife Sarah. Mike has announced that he and Sarah are expecting their second child! Sarah is four months along so it won’t be long before another set of little feet pitter patters into their lives. Wishing both of them all the best! T-Shirts for this year’s I-ManiCon are now ready to order! This year, the very talented Rain, a fan from Australia, graciously volunteered her services and created this absolutely adorable graphic. Now is that cute or what? If you wish to see a larger and more detailed view of the picture, I’ve placed a copy in the Fan Art Gallery. Just click the button at the bottom of the picture to expand it to full size. Happily, you don’t have to attend the con to get your own t-shirt. T-shirts; as well as other merchandise like mugs, mouse pads, pins, and more; are now available for order online. Laura, an Oklahoma fan, has made ordering easy by setting up a store at Zazzle.com. However, the easiest way to find the store is to go directly to Laura’s website and click on the moving Zazzle picture. Now go check out the assortment of cool merchandise! After a long hiatus, Craig Silverstein’s show, Standoff, is returning to our TV screens. It’s been moved to Fridays…not a good sign. However, cast member Michael Cudlitz tells the Chicago Tribune that it hasn’t been cancelled yet. Will it find its audience on Friday nights? I guess we’ll have to wait and see. To catch up on episodes you might have missed, visit the Standoff MySpace page. Watch the new episodes starting this Friday, June 8, at 9/8 c on Fox. As usual, check your local listings for the time and channel in your area.